Noah is in 5th grade and lives in Indiana. 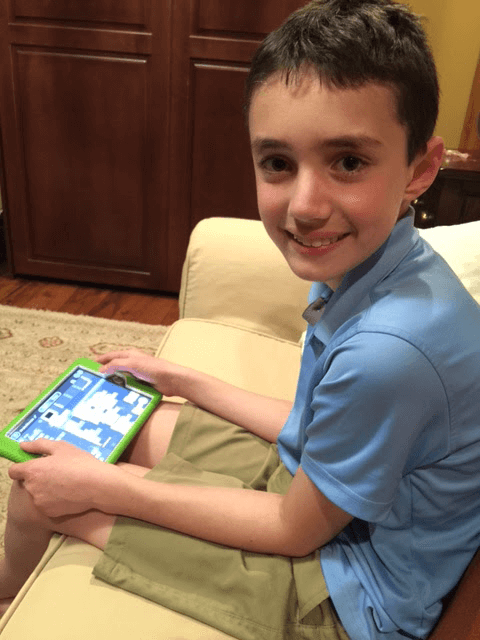 He’s eleven years old and likes to play the piano, play tennis, and code. He’s coded some really great projects, so we chatted with him to see what inspires him to code! What do you want to be when you grow up? I want to be a musician, in particular, a pianist. I practice 30-45 minutes each day. How did you get introduced to Tynker? Well, about two years ago I used Tynker at Sylvan, and then picked it up again because of the school iPads. I code a lot at school with my friends. I also code in my free time. Do you look at the Tynker community projects? I do. In particular, I like to look at the ones with a lot of complicated code, because I can learn something from them. What’s your favorite feature in Tynker? I like the part where you get to make projects – you can make your ideas come to life. Is there anything you’re working on currently? A 3D house builder. It’s kind of like Minecraft, but you don’t have to mine anything. You just build a house out of blocks. What is your favorite thing you’ve made? I made a piano thing that tries to test your pitch. It plays the note, and then you try to match it. Then if if you press it, it says, “good.” If you get one wrong, it subtracts a point. Why do you like to code? I like to code because I can make my ideas come to life and I can make fun games. Do you think other kids should try coding? Yes, because they can make games that they want to play, or share with other people – maybe even share their talents. What advice would you give for kids starting out with Tynker? Go big, because if you can dream it, you can code it. Thanks for chatting with us, Lauren and Noah. We’re glad Tynker is a positive online activity for Noah, and that he uses it to enhance his talents! Good luck on your 3D House Builder, Noah – we’re looking forward to playing it. Keep Tynkering! Don’t miss this tennis simulator, another of Noah’s fun games! From Competitors to Collaborators: Meet Co-Creators Sid and Darsh!